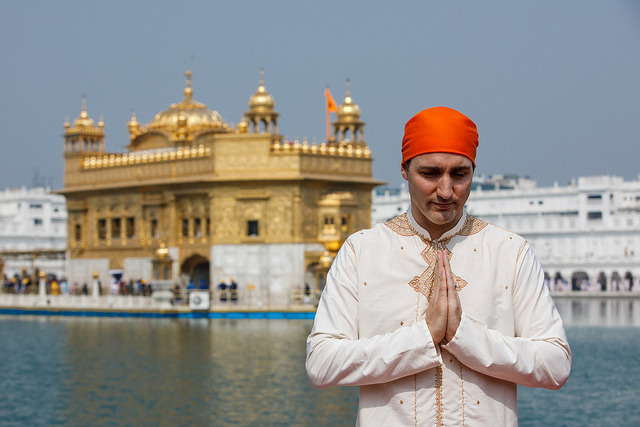 He’s running out of people to blame for his disastrous trip to India so now Prime Minister Justin Trudeau is looking for another way out of his tight spot. If you don’t believe the conspiracy theory that the Indian government was plotting against him to have a convicted would be assassin attend a dinner with him, or you simply want proof of the plot, then you don’t trust the civil service. And you are just playing partisan games. This is not the onion, this is Trudeau’s real stance and one that makes zero sense to me. 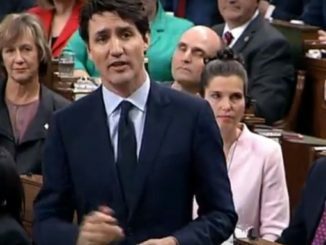 Watch the exchange between Conservative Leader Andrew Scheer and Justin Trudeau in the House of Commons on Wednesday. Scheer just wants answers to the wild claims Trudeau’s office made. Trudeau refuses to answer of course. This is just part of the exchange and later in QP, Trudeau started responding by saying he had answered the question and began reading talking points from his budget. 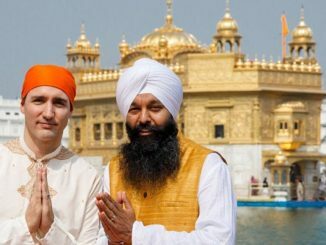 So just remember, India is the reason Trudeau invited Jaspal Atwal to two receptions in India, not him or his backbench MP that he previously blamed. Oh, and Trudeau blamed that MP as well yesterday. 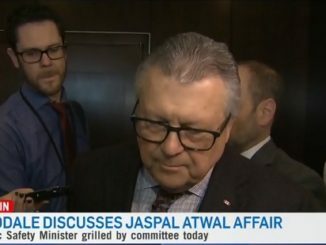 Asked to pick one and explain how he could blame both, Trudeau said he trusts the civil service, unlike the Conservatives. The world is starting to realize that any statement given by the Trudeau liberals since election is as reliable as a screen door on a submarine. I wonder when Justin will blame Mike Harris. After all, the provincial Liberals in Ontario like to trot out Mike Harris every so often when they need to blame someone for their failure to fix any issues that come up. Kudos to Opposition Leader Scheer in his attempts to pin the “Slippery Sock Eel” down to a definitive answer. But, as we all witnessed, Mr. Socks continued to deflect, “red herring”, and obfuscate with his responses! There is just no way of impinging on the “Liberal” mind. BUT IN Canada ,we do not investigate the crimes of our leaders.Our Democracy is faulty. Remember what happened with the findings of the Ethics Commissioner, after more than a year of such hard work? The power of the Prime Minister is inviting corruption because, when a politician can break the law without consequences, he does.And our Prime Mistake does not even understand the concept of conflict of interest, nor the sin of lying to the people he was elected to serve, leaving us in such a despicable position with the Indian government accused of weaving a confusing web just to embarrass the Canadian Master clown.Trudeau is a liar. He is a manipulative and Satanic Liar. ENOUGH. And rascal Mondale: the liberal party is a travesty. There is no liberalism left in your subversive political party. With Trudeau you degenerated to the left of the left.Today you are an extremist socialist joke, cooked up in Cuba or in Venezuela. Supremacist Socialism twin of National Socialism. Your whole party has to disappear. The bobble heads behind Trudope in the House, are not fit to govern, just like their Dear Leader. We need a party we can vote for, not your collection of characters improper for human consumption.Out you go. Fortunately, the English language is a living language that grows, changes and adapts to new developments in science, technology and human events . Unfortunately, during times like this, its flexibility is sorely tested by those who challenge the current limits of descriptive words to define their actions. We’ve got a government whose lies extend far beyond the expected normal limits on political lies. We have seen the absolute ineptitude of certain government leaders (wink, wink, nudge, nudge*). We’ve seen the grossly extended and stretched limits of stupidity displayed. Then there are the unfathomable depths of narcissistic behaviour demonstrated by certain government members (again W, W, N, N). Surely, new words need to be added to the lexicon to fully express and appreciate just how far the current Liberal government has strayed outside norms of Canadian politics. Hopefully, the government that is giving all Canadians – including their supporters, a chariot ride to hell, will actually be detoured to political oblivion instead, which they should have enjoyed at the end of their last imagined ownership of Canada under Mr Chretien.